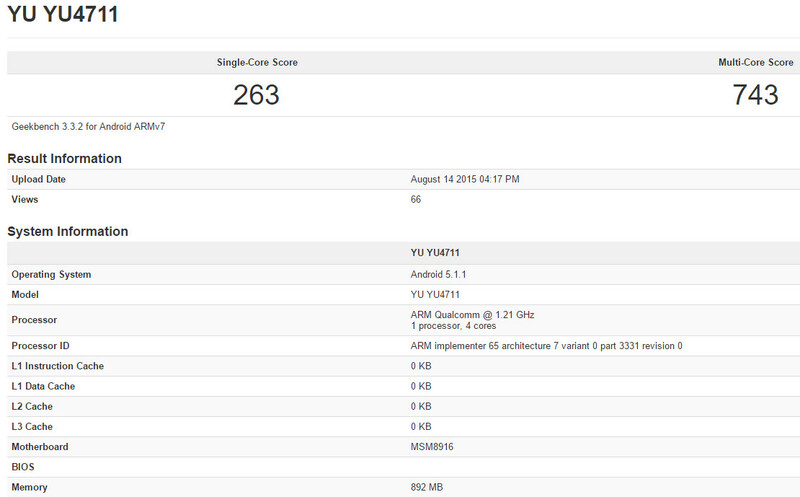 YU YU5050, the company’s high-end smartphone has surfaced on Zauba and Geekbench. These listings reveals that the smartphone will pack a 5.2-inch display (1080p likely), Octa-Core Snapdragon 810 SoC and 4GB RAM. It will run on Android 5.1.1 (Lollipop)-based Cyanogen OS 12.1 out of the box. The smartphone has been imported to India for Rs. 20,295, so it could be priced under Rs. 25,000 when it launches. 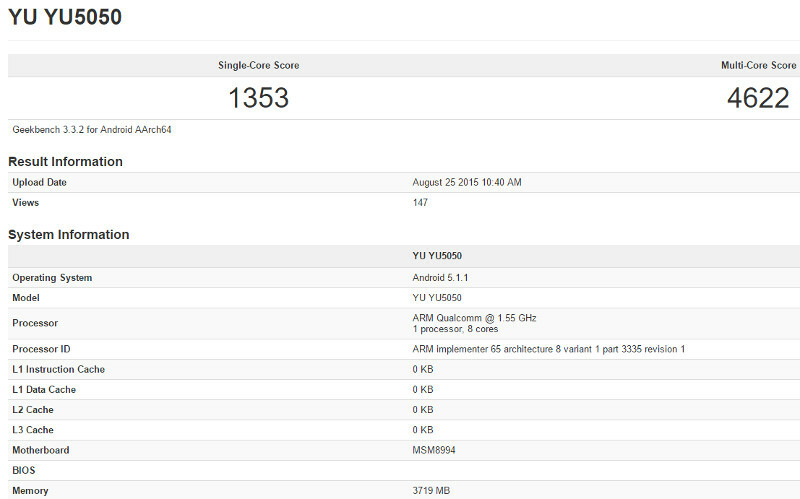 YU YU4711 has also surfaced on Geekbench, but Zauba listing shows only parts for the smartphone have been imported. According to the listing, the smartphone will be powered by a Snapdragon 410 processor clocked at 1.21GHz and pack 1GB of RAM. It also runs on Android 5.1.1 (Lollipop). This could be a cheaper variant of YUPHORIA. 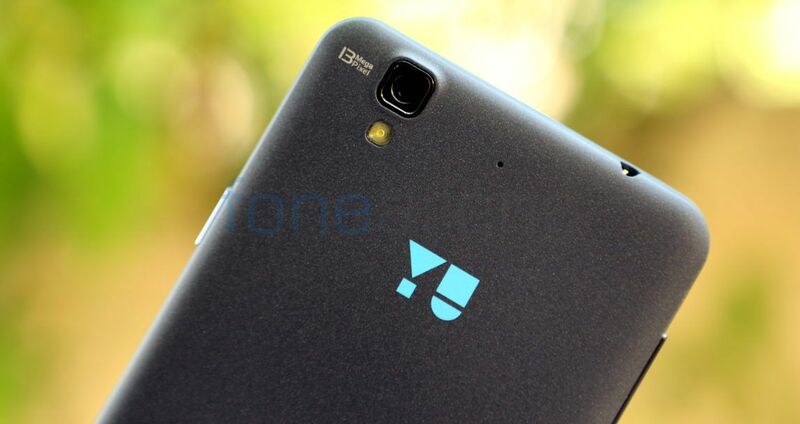 YU already announced that it will launch a new device at an event on September 8th, tomorrow. We can expect any of these smartphones and accessories such as Yu Yubic Bluetooth speaker and YUAPB1000, a 10000mAh power bank at the event. It recently launched YUPIX portable printer for Rs. 6,999. Update: The YU5050 has surfaced on AnTuTu revealing a 5.2-inch Quad HD display, 21MP camera and more.